In small groups of 14 people, you'll journey through wildly diverse national parks, open savannah and dense rainforest whilst enjoying game drives, nature walks and boat rides to search for the countless mammals, reptiles and birds residing in their natural habitat. 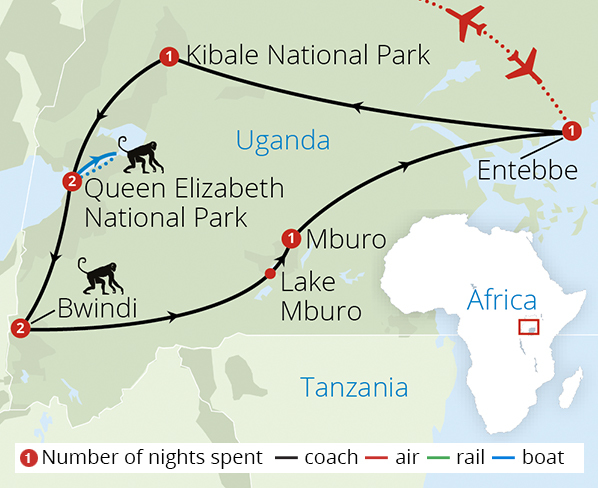 Depart London on your scheduled overnight flight to Entebbe in Uganda, via Dubai. You will be met by your guide on arrival and transferred to your first hotel set in lush tropical gardens where you can spend the rest of the day relaxing by the pool before joining your group for dinner. 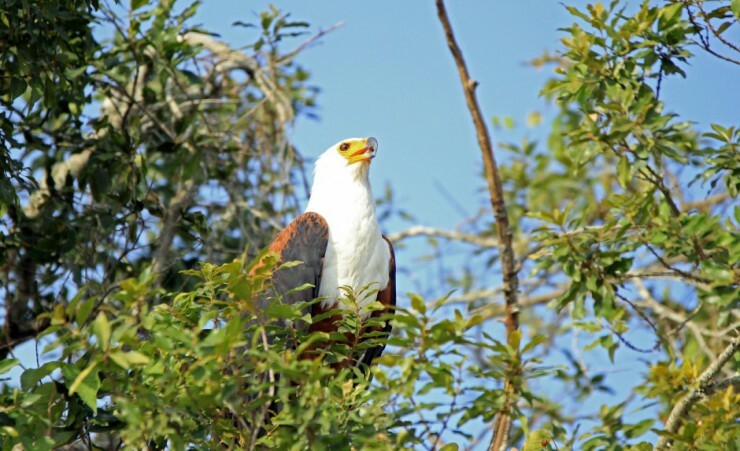 Optional excursion (payable locally): Mabamba Swamp Cruise by speedboat. 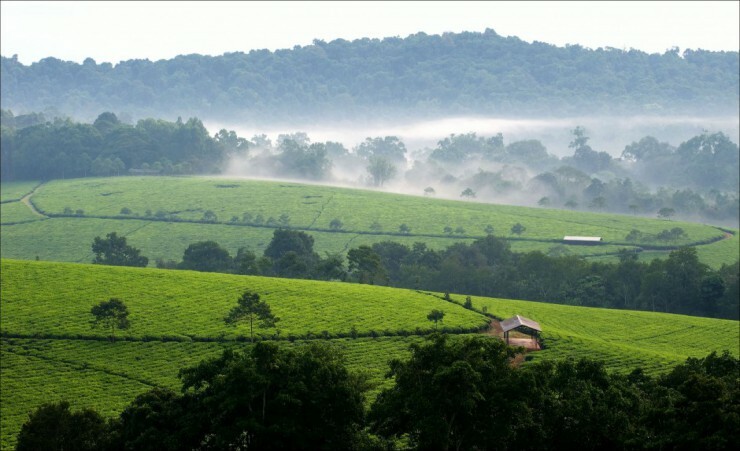 After an early breakfast, begin your journey to Kibale National Park, an enjoyable drive that passes verdant fields of tea plantations with the chance to stop for photos. 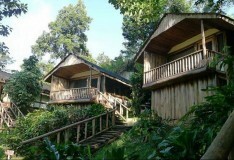 Arriving at your rainforest lodge late in the afternoon there'll be some time to settle in to the sounds of over 325 species of birds and howling monkeys and to stretch your legs on a gentle walk around the lodge's stunning grounds, which on a clear day has spectacular views of the Rwenzori Mountains whose snow-capped peaks tower above the lower slopes blanketed in rich moist mountain forest. Today marks your first chance to encounter the mischievous local inhabitants during an exciting morning of chimpanzee tracking. 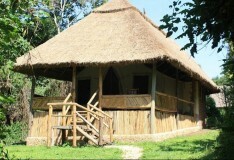 With the highest density and diversity of primates in the whole of Africa, Kibale National Park is the optimal place to find one of the 1450 protected chimpanzees as well as the endangered red colobus monkey and more uncommon L'hoest's monkey, all of whom roam freely within 766 square kilometres of protected parkland. This exhilarating walk delves deep into the forest's undergrowth and offers the chance to observe these fascinating animals whose human-like behaviour will stun and surprise their visiting guests. 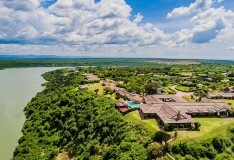 After lunch back at your lodge, continue to Queen Elizabeth National Park, driving through the beautiful Kasenda Crater Lakes, crossing the equator along the way. The next two nights will be spent at a wonderful safari lodge located on a peninsula within the heart of the park, where dinner can be enjoyed al fresco on the terrace. Rise early this morning and depart your lodge in 4x4 vehicles to watch the park's wildlife wake from their slumber. Today's guided safari drive journeys through the park with a chance to encounter herds of elephant, buffalo and antelope, lions, leopards, spotted hyenas and the rare giant forest hog. 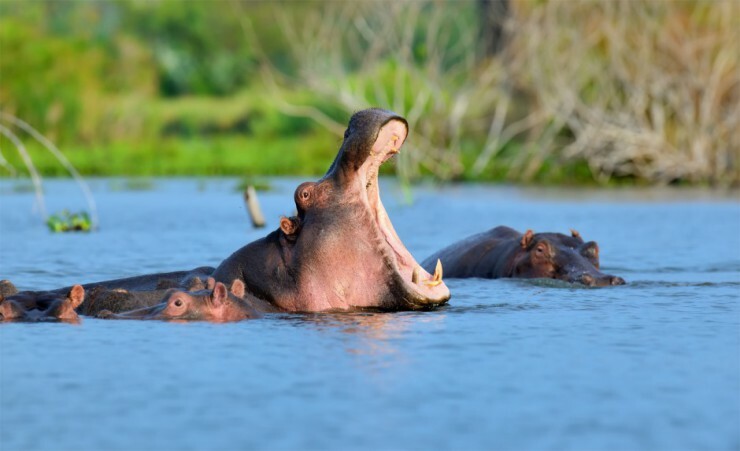 Your wildlife adventure continues in the afternoon with a leisurely boat cruise along the Kazinga Channel, a large stretch of water which attracts a large number of mammals and reptiles including families of warthog, large groups of hippo, and crocodiles basking on the shore. Spend a relaxing evening back at your lodge sharing the day's experiences over your evening meal. 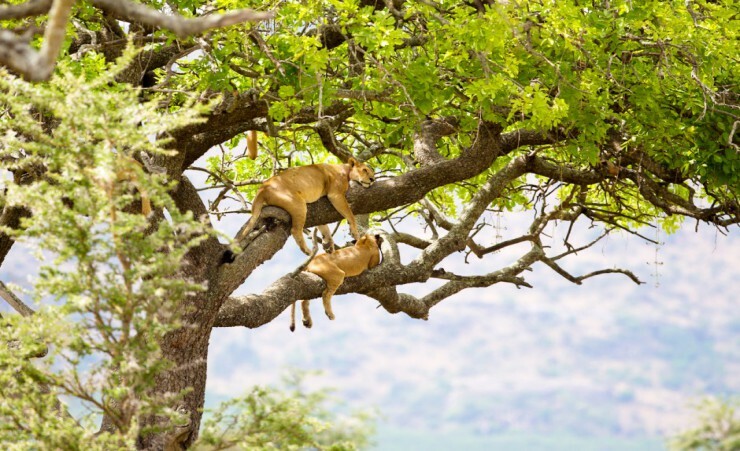 From Queen Elizabeth National Park our tour takes a leisurely route to Bwindi Impenetrable Forest, stopping in the Ishasha Sector of the park where it is not uncommon to see 'tree-climbing' lions sleeping on the large branches of fig trees as well as the other numerous species of big game. There will also be the chance to visit a community project in the local village where the local inhabitants warmly invite passers-by into their homesteads and explain the local elephant trench project to protect their homes from these wandering giants. The donation for this experience is paid directly to the project leaders. You'll arrive at your forest lodge on the edge of the Great Rift Valley in the late afternoon which offers uninterrupted views of the pristine canopy below. Bwindi National Park, located in south western Uganda on the edge of the Great Rift Valley, is considered the most diverse forest in Uganda. Home to over 120 mammals, 345 species of birds, 200 species of butterflies, and 160 species of trees, Bwindi is one of the richest ecosystems in East Africa. 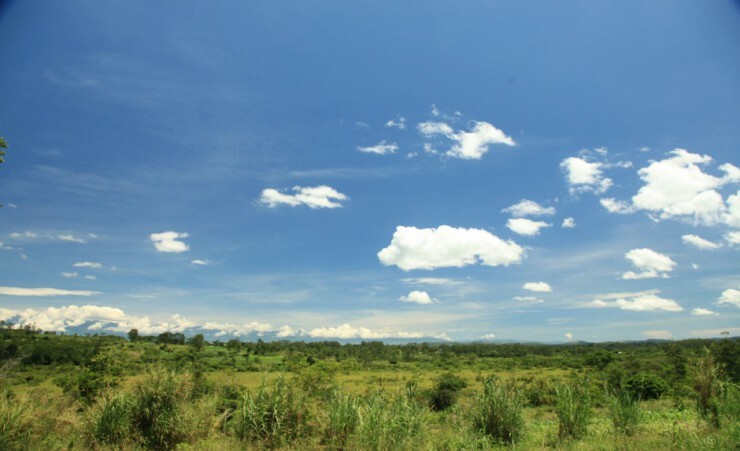 The park contains almost one half of the world's population of the endangered Mountain Gorilla, making it an extremely valuable conservation site. 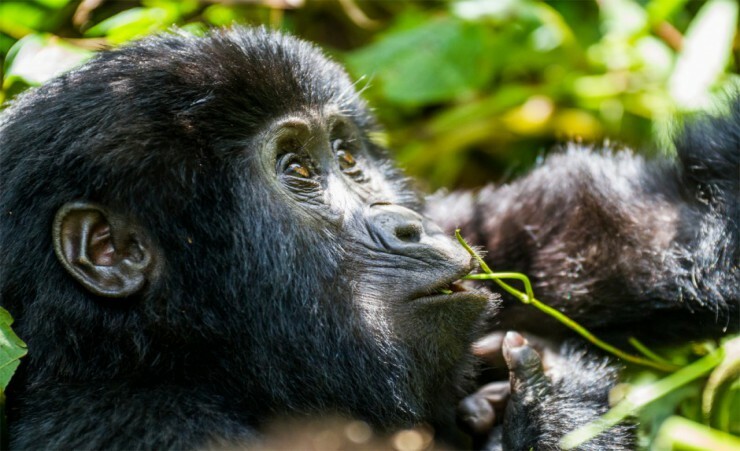 Searching for mountain gorillas on a guided trek is one of the most exciting wildlife experiences on earth and coming face to face with these fascinating creatures is a rare wildlife encounter. 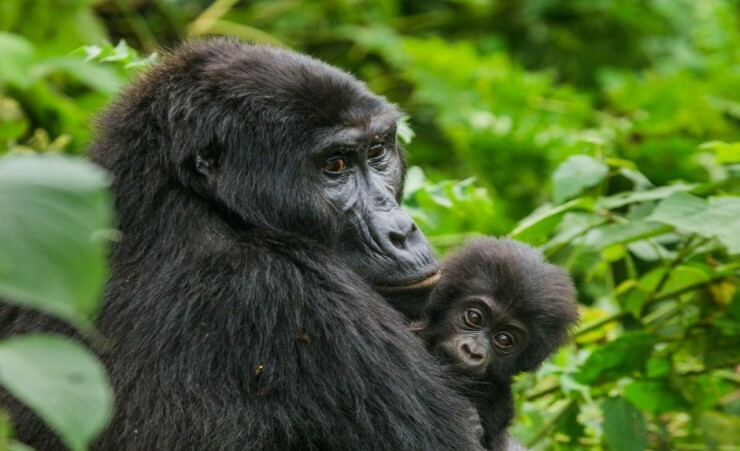 The duration of the walk will depend on the day, however gorilla trekking can be a strenuous yet rewarding adventure with time on foot can often amounting to six hours or longer, often at high altitudes. Mountain gorillas are wild animals and, as such, sightings cannot be guaranteed however our experienced guides and trackers are proud of their 90% success rate in viewing these mighty yet beautiful beasts. Be sure to have plenty of battery power and memory on your camera to capture the hour you spend with these gentle giants. Optional excursion (payable locally): Guided Forest Walk. Set out this morning on a drive to Lake Mburo National Park, passing through hilly terrain and beautiful rural villages. 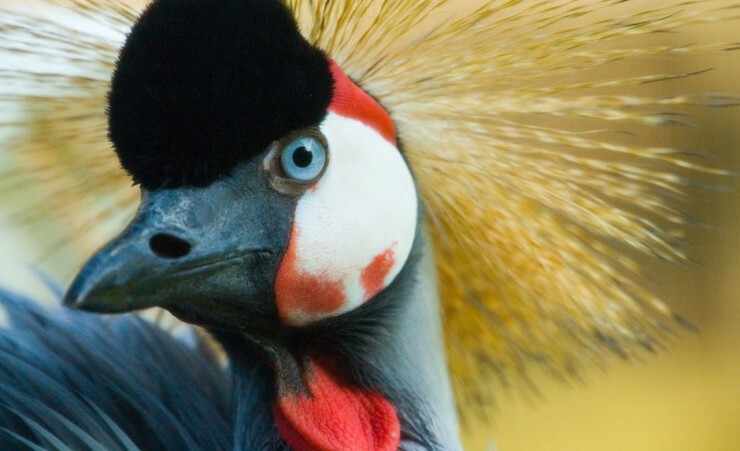 The park is the smallest of Uganda's savannah national parks and underlain by prehistoric metamorphic rocks which date back more than 500 million years. Along with 13 other lakes in the region, Mburo forms part of a vast wetland system linked by swamps with a rich and diverse habitat of Defassa waterbuck (large antelope), hippos, buffalo and over 350 species of birds. 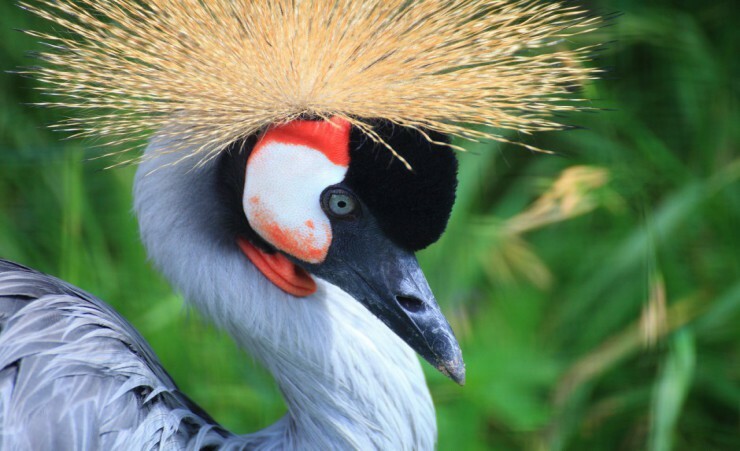 Take in the area's wealth of flora and fauna during a boat ride through the swamps with a chance to spot elusive species of birds including the rare shoebill stork, one of the world's most endangered species. 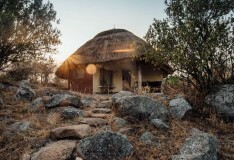 Retiring to your hotel nested on a scenic outcrop at the edge of the lake, dinner will be served with views of the waterhole beneath where zebra, warthog, impala and bushbuck often congregate. After breakfast at the lodge, drive back to Entebbe with a break for a picnic lunch before arriving in the early afternoon for your scheduled return flight to the UK. British citizens are required to obtain an electronic Visa for entry in to Uganda. We work closely with The Travel Visa Company who will be able to arrange this visa for you on your behalf. Please call them on 01270 250 590 and quote 'MercuryHolidays'. You must apply for this first then you will need $50 (USD) in cash on arrival. Visa requirements are subject to change and obtaining a visa is the responsibility of the traveller and not Mercury Holidays. We recommend you check with your destinations' Tourist Board or Embassy prior to departure for the most up to date guidelines regarding visas and passport validity. Due to space limitations in the vehicles, it is imperative that luggage is kept to a minimum. We suggest a barrel or soft bag (15 kg maximum) for your main gear, plus a camera bag or smaller day pack for inside the vehicle. Samsonite/hard bags/suitcases, etc. are not suitable as it makes packing very difficult. If you are travelling internationally with one we suggest you repack safari items into your soft bag, before the safari, and then leave your hard suitcase at your return point e.g. 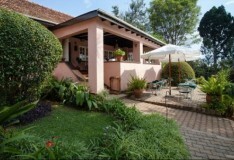 Entebbe hotel to collect later. It is your responsibility to check any health and vaccination requirements applicable to your booked arrangements. We can only provide general information about this. Health and hygiene facilities and disease risks vary from country to country. You should take health advice about your own needs as early as possible and in good time before your departure. Sources of information include; www.fco.gov.uk http://travelhealthpro.org.uk www.hpa.org.uk your General Practitioner or a specialist clinic. Mountain Gorillas and Chimpanzees are highly susceptible to human diseases including flu and colds. If you are participating in a Gorilla/Chimp trek then you need to be free of any easily contagious diseases and this is checked at the start of the trek by the Park Authorities. If they are in any doubt about your condition, they reserve the right to prevent you from continuing on the trek. 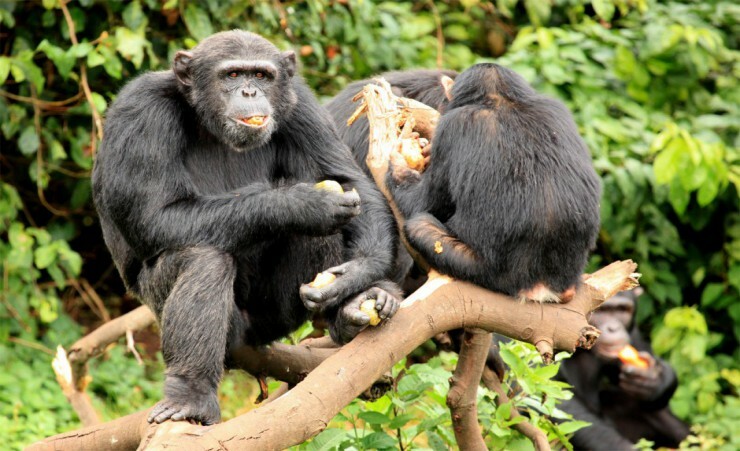 If you are participating in a Chimpanzee interaction programme - please refer to the documentation provided on booking. Special, additional vaccines and health certificates are required to be presented to ensure participation. This is because you have direct contact with the chimpanzees. Trekking, in the forest, is a different activity. The minimum number of travellers in your group will be 5, and the maximum will be 14. If in the unlikely event there are less than 5 people booked on your tour date, we will endeavour to reduce any disruption to your holiday and try to operate your tour with lower passenger numbers. If we are not able to operate your departure date then you may be asked to change to a different date and a full refund will be made available to you should this alternative not be suitable. The currency in Uganda is the Ugandan Shilling (UGX). We recommend that you take some US Dollars (USD) with you and exchange this currency whilst you are travelling. We also recommend that you use large denominations (for example $50 - $100) for a better exchange rate. You will need to take some extra money with you to cover any meals where these are not mentioned on your itinerary and personal purchases, such as souvenirs, extra drinks and snacks. Approximately £200 per person should be sufficient for the duration of your tour. Please note that the minimum age for gorilla, chimpanzee and golden monkey tracking in Uganda is 15. Therefore passengers must be 15 years of age or older to travel on this tour. 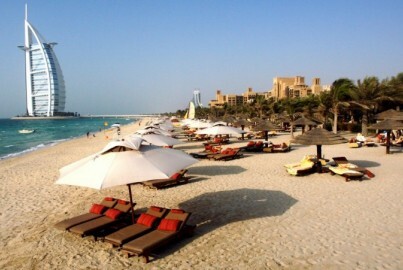 With incredible beaches of powdery white sand and an azure sea which is crystal clear and warm, an extension to Dubai and the Emirates is the perfect place to relax and soak in the Arabian sun. Famed for its luxury shopping and ultra modern architecture, Dubai offers a kaleidoscope of attractions for you to experience. The United Arab Emirates offer a kaleidoscope of attractions from bustling city centres to rugged mountains and idyllic beaches. 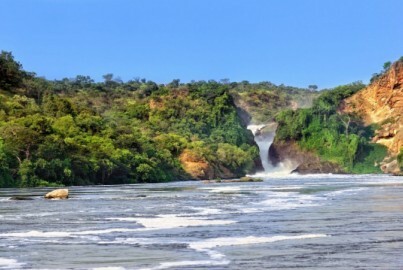 A once in a lifetime opportunity to spend 3 nights in Murchison Falls National Park, a perfectly unspoilt area where the Nile explodes through a narrow gorge and cascades down to become a placid river whose banks are thronged with buffaloes, hippos, crocodiles and waterbucks.